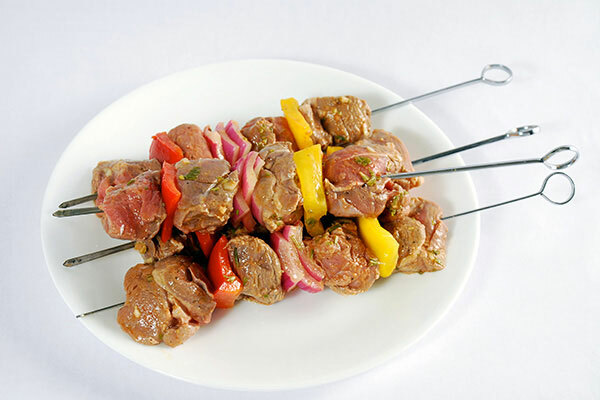 Shish-kebab is a skewered and grilled meat dish that hails from Turkey and traditionally is made with lamb meat. 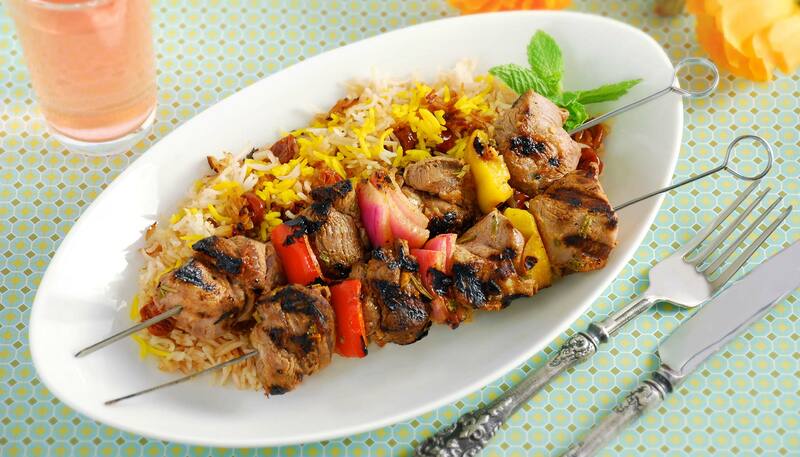 This recipe uses spices and herbs to emphasize the Middle Eastern flavor. Serve with rice or pita bread. 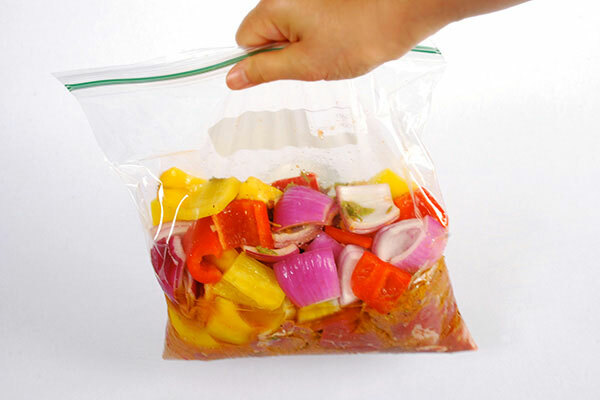 Combine all marinade ingredients in a plastic bag, and marinate the lamb, onion and bell peppers for 2 hours at room temperature or up to 24 hours in the refrigerator. 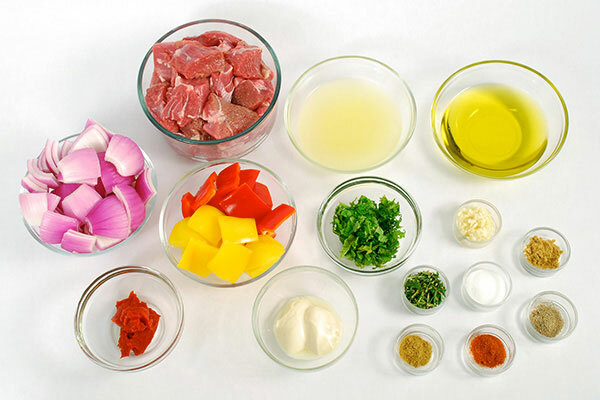 Assemble each skewer, starting and ending with meat and use the vegetables to space the meat apart. Preheat the Indoor Electric Grill for 10 minutes. 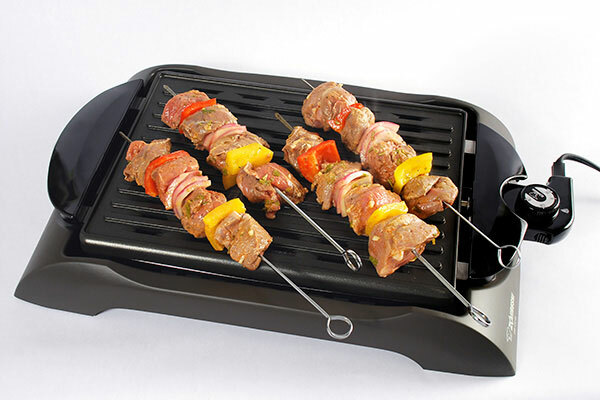 Grill the skewers on HI for 7-8 minutes or until surface is browned, then turn the skewers, grilling all sides for about the same length of time evenly until cooked through.